Google has invested $5 million (£3.15 million) to encourage innovation in digital journalism. The search giant is keen to help fuel the changes in how we access news online, and to that end has committed money in grants to non-profit organisations that are "developing new approaches to journalism in the digital age". Although $2 million has been handed to the Knight Foundation in the US, Google's corporate communications and public affairs manager Clara Armand-Delille told TechRadar that a similar partnership in the UK is feasible. "But we're eager to do even more internationally, so we will be investing $3 million in journalism projects in other countries through a partnership similar to the one with Knight Foundation," she added. "Stay tuned for more details in the coming months." 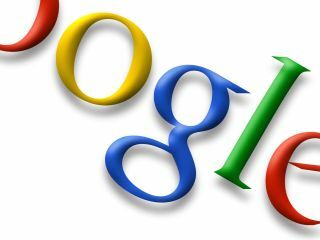 Google believes that the development of journalism is a critical tool for the internet and society. "Journalism is fundamental to a functioning democracy," explained Google's Nikesh Arora. "So as media organizations globally continue to broaden their presence online, we're eager to play our part on the technology side—experimenting with new ways of presenting news online; providing tools like Google Maps and YouTube Direct to make websites more engaging for readers; and investing heavily in our digital platforms to enable publishers to generate more revenue."